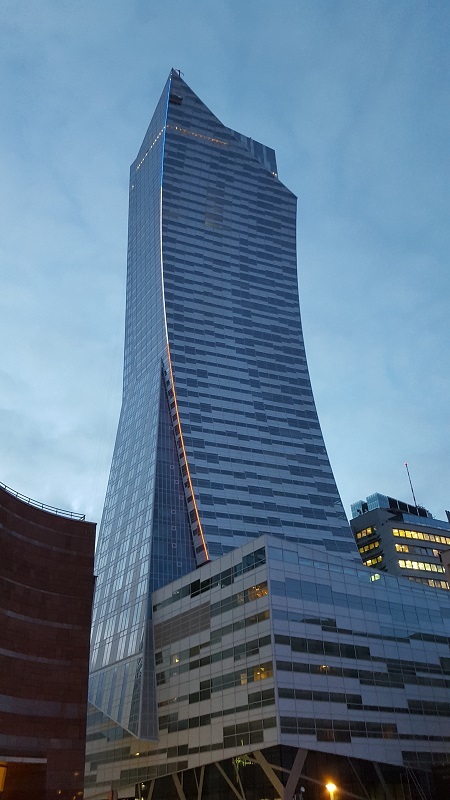 In March 2017, Studio Libeskind completed Zlota 44, Europe’s new tallest residential building. 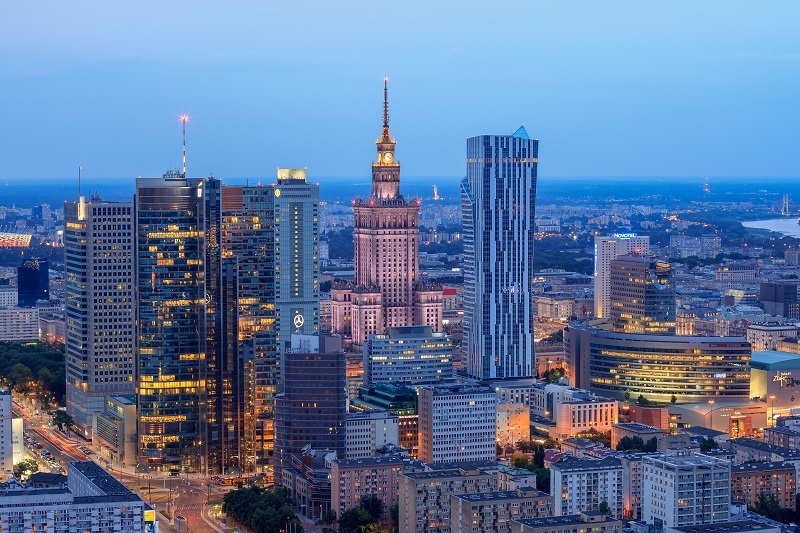 Located in central Warsaw, Poland, the building punctuates the city’s skyline with its arching form inspired by the wings of an eagle. The project is a collaboration between Polish Developer BBI Development S.A. and US-based real estate investment manager Amstar. The 52 storey (192 m / 629 ft) tower is located across from the Palace of Culture and Science. Measuring c.30,000 sq. 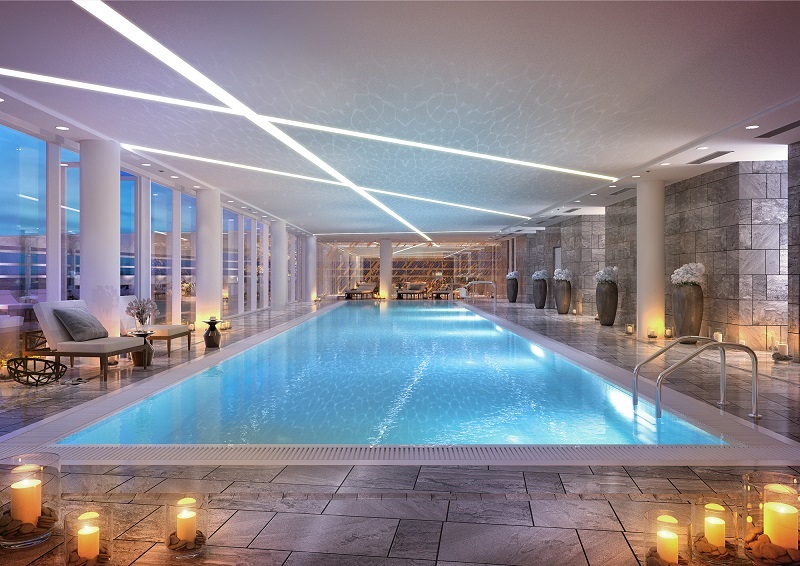 m, the tower provides 287 apartments complete with business, leisure, concierge and parking facilities. The symbolic design has been carefully sculpted to follow the path of the sun, allowing maximum daylight to enter units at all levels and reduce shadows at street level in the dense, historic urban fabric. The arched façade comes to an apex at the top creating a multi-level penthouse with spectacular panoramic views of the city. The glass and aluminum curtain-wall is constructed with self-cleaning panelling and triple-glazed floor-to-ceiling windows arranged in an irregular pattern that animates the surface with a play of light and shade. The lobby employs a rich pallet of warm wood, glass fixtures and geometric ceramic tile flooring accentuated by floor-to-ceiling windows that wrap the front of the building. Images and content courtesy of Studio Libeskind.